This year's HWA Poetry Showcase celebrates the poetic side of the Dark Art of horror writing, as practiced by the HWA membership. It functions as both a contest and a showcase -- there are 3 Featured Poems (winners) and 3 Special Mention poems ( runners-up). The Kindle edition is fully indexed, and all the poems appear to have survived the conversion from print -- at least, so far as I could tell by comparing to a PDF copy. This in itself is notable! The poems themselves are very diverse -- mainly free verse, but with a fair number of formal works as well. Most of the poems here are narrative. Subject matter and tone vary widely, though there was quite a bit of graveyard/ body horror. Almost all the works here would be very accessible to readers of prose horror. An optimistic "Note from the Editor" -- David E. Cowen -- celebrates and comments upon the survival of dark poetry and other speculative verse, even in a time when mainstream poetry seems to be struggling in America. As I suspect most of the genre-reading world already knows, The Bram Stoker Awards® Final Ballot was announced yesterday, here. And if you scroll all the way down, you’ll see why Yours Truly has gone back into her Grateful Happy Dance. The HWA’s 2015 Bram Stoker Awards Preliminary Ballot is out now, here. Congratulations & best of luck to all! Scroll down – way, way down – to see why Yours Truly is doing a very grateful Happy Dance. I am very pleased to announce that the HWA’s first-ever book of poetry is now available on Kindle! The HWA Poetry Showcase Volume I includes four Featured Poems (chosen to celebrate National Poetry Month this spring) and 34 additional dark poems which were submitted for the Showcase. This collection is edited by Peter Adam Salomon. The distinctively weird (in the best way!) full-color cover is by Marge Simon. This volume also has a linked index, so that readers can click through directly to favorite poems. Find all the gory details – including a glimpse at the TOC -- here. The last two Featured Poems for this Showcase are ‘His Collection” by Valerie Grice, & “To the Next Priest” by Yours Truly. An electronic chapbook with many of the submissions for this Showcase will be offered later by the HWA. I’ll post full information when it’s available. The Horror Writers Association's Inaugural Horror Poetry Showcase selection is over, and four poems have been chosen. One Featured Poet will be announced each week on the Showcase, here. Even if poetry isn’t your usual poison (even after National Poetry Month? For shame!) both of these are chilling little narratives well worth checking out. I particularly enjoyed the pitch-black humor of “Instincto,” but YMMV. It’s still National Poetry Month – but are you starting to crave something a little different? More speculative? A one-stop source of information on all things poetical & SFnal (fantasy & horror, too!). In addition to their print journal, Star*Line, the SFPA offers a free online journal, Eye to the Telescope. The current themed issue is “Mundane Speculative Poetry” – though it’s anything but mundane. Another great source for information on SF poetry in particular is Diane Severson’s divadiane1 speculative poetry review blog on the Amazing Stories site. This month, she’s offering a Poetry Round-up, with several links of interest – and comments -- to anyone seeking to broaden their poetry reading habits. If your taste runs a little more to the dark side, the Horror Writers Association site offers a monthly poetry column, which is available to all. The HWA is also reading now for their first-ever Poetry Showcase! Again, you do not need to be an HWA member to submit work. The submissions deadline is April 30. I am very happy to report that the HWA web site’s poetry area (open to all, not just HWA members) is once more offering new food for dark thought! Now edited by Peter Adam Salomon, it has posted new columns for February & March. February’s column focuses on Women in Horror Month, with poems of dark love by Terrie Leigh Relf, Marge Simon, & Linda Addison. It also includes a sample of the editor’s own work. March offers a highly informative article on “Found Poetry” by Terrie Leigh Relf, and also announces the first-ever HWA Horror Poetry Showcase. This project is being done to celebrate National Poetry Month in April. It’s open to all poets. For more information, please check here. Submissions will be accepted from April 1-30. The Horror Writers Association has recently begun offering a monthly poetry column on their blog site -- which is accessible to everyone. Predictably, I'm thrilled. Poetry has always been a vibrant part of horror (just ask Eddie Poe), and it's nice to see this professional organization acknowledging the fact with an informative column. This month, I have the honor of being one of four HWA poets featured on the site. Along with Bruce Boston (who contributes an excellent essay on the prose poem, plus previously published examples), I'm sharing space with JG Faherty and Carol MacAllister. My poem, "In Webs of Autumn," was previously published in Twisted in Dream (Hippocampus Press 2011). This is its first appearance outside that collection, and I'm glad to be sharing this bit of late-season melancholy with a wider audience. HWA Halloween Haunts blog: it's my day! I've got a brief blog entry & "free sample" poem up today on HWA's special Halloween Haunts blog. The sample poem, from my forthcoming (any day now!) 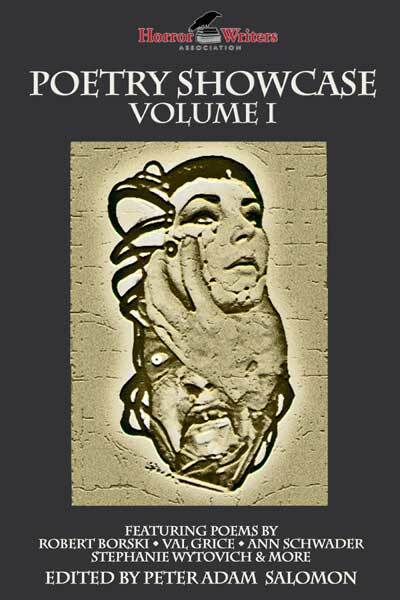 collection from Hippocampus Press, is "The Quiet One." It's an Italian sonnet, very seasonal & vaguely Lovecraftian for those who enjoy such things. Please check it out here -- then scroll down to enjoy many other posts on everybody's favorite scare season. Keep checking back every day -- all entries remain available -- for new posts & special giveaway offers! My post on October 18th features a sample poem from Twisted in Dream, my new weird verse collection due out from Hippocampus Press any day now. Starting tomorrow, Oct. 1, the HWA (Horror Writers Association) Web site will be presenting a special month-long series of blog posts from & about the membership, for fear fans everywhere. The first half of the month has already been scheduled. Check it out, & check here daily for interviews, commentary, & samples of new or soon to be released work by established & rising horror authors. The Horror Writers Association recently announced the two recipients of this year's Lifetime Achievement Awards, which will be given at the World Horror Convention in Brighton, England next month. And the winners are . . . Brian Lumley and William F. Nolan! Though both these writers are very worthy, I freely confess that I know Nolan primarily as the author of Logan's Run. As a Lovecraftian, however, I am thrilled that Brian Lumley, author of The Caller of the Black and dozens of other first-rate Cthulhu Mythos tales -- including the well-regarded Titus Crow series -- is also being recognized. Blood Lite, the latest horror anthology from the Horror Writers Association, will officially be released this month. For readers who enjoy laughing while they scream, this project features a killer list of authors (NOT including Yours Truly): Charlaine Harris, Jim Butcher (new Dresden Files story! ), Sherrilyn Kenyon, Kelley Armstrong, Janet Berliner, Don D'Ammassa, Nancy Holder, Nancy Kilpatrick, J. A. Konrath and F. Paul Wilson, Joe R. Lansdale, Will Ludwigsen, Sharyn McCrumb, Mark Onspaugh, Mike Resnick, Steven Savile, D. L. Snell, Eric James Stone, Jeff Strand, Lucien Soulban, Matt Venne, and Christopher Welch.